Dr Danescu graduated from the Medical School of Craiova, Romania. He completed a 3 year training program in Family Medicine within the same faculty. After another 3 years of practicing rural Family Medicine in Romania he moved to South Africa. Living and working in Port Elizabeth was an enhancing experience with both professional and personal achievements. His focus changed to Internal Medicine in South Africa where he went on to obtain the South African Higher Diploma in Internal Medicine. He developed his skills in clinical medicine as well as participating in research as an investigator in international trials – OASIS, ALIVE, CURE. The CURE trial brought Plavix into medical practice through its groundbreaking results. He is proud to be one of the investigators involved in bringing Plavix into clinical medicine where it has saved, and continues to save, many lives. After 10 wonderful years in Port Elizabeth Dr Danescu moved to Canada, more specifically to North Battleford, Saskatchewan. 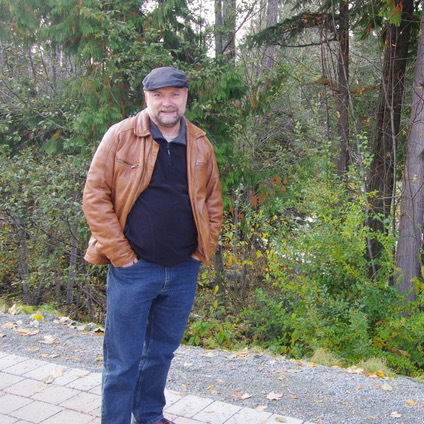 His final move was to Abbotsford where he built and devoloped his Family Medicine practice. 16 yrs have now passed since moving to Abbotsford and he continues to greatly enjoy working in both the Regional Hospital as well as in Windermere Clinic. He is also involved in the development of Abbotsfords UBC Family Medicine site and participates in the training of Family Medicine Residents. During the first 5 years of the site he undertook the position of Research Lead for the Faculty. He obtained the title of Prof. Assistant and continues to be involved in the training of new Family Physicians. He is happy to work with wonderful colleagues both in the hospital as well as within the clinic. On a personal note he is married and has one son. His wife Nadia is deeply involved in the clinic and enjoys her managerial position. His son is practicing medicine in the UK and will hopefully come back to Canada. Dr Danescu enjoys the frustration of playing golf and holidays in the sun.